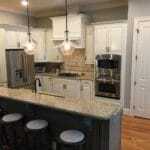 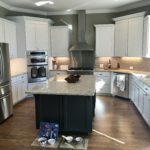 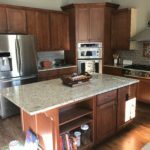 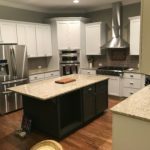 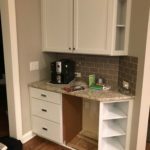 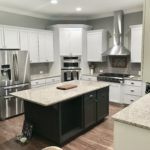 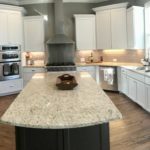 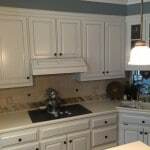 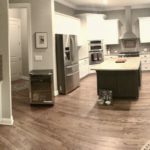 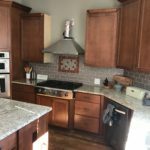 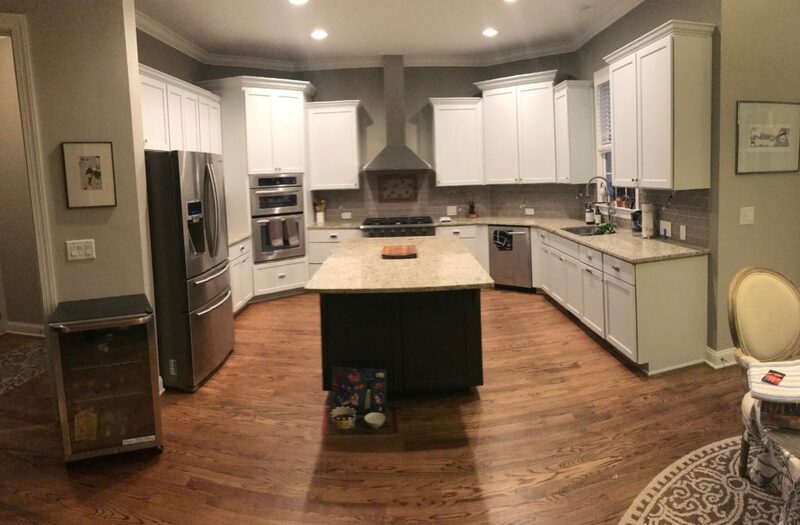 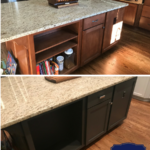 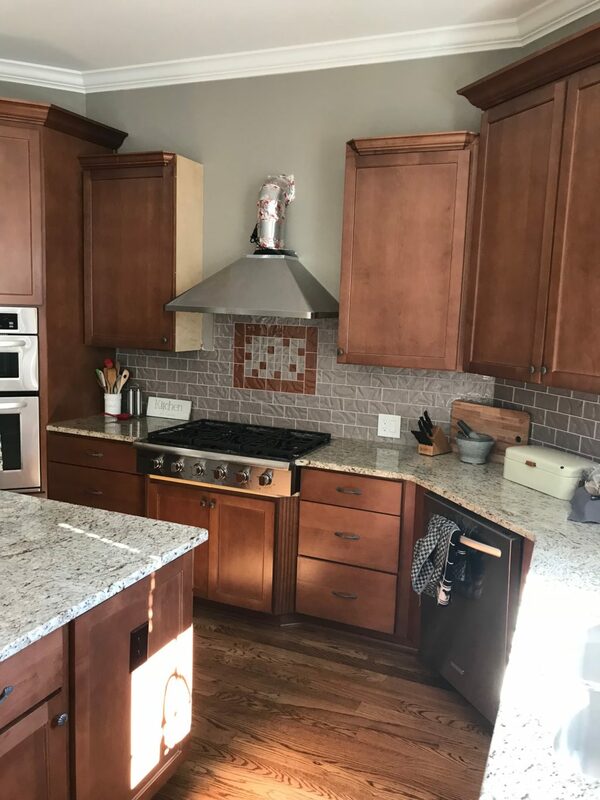 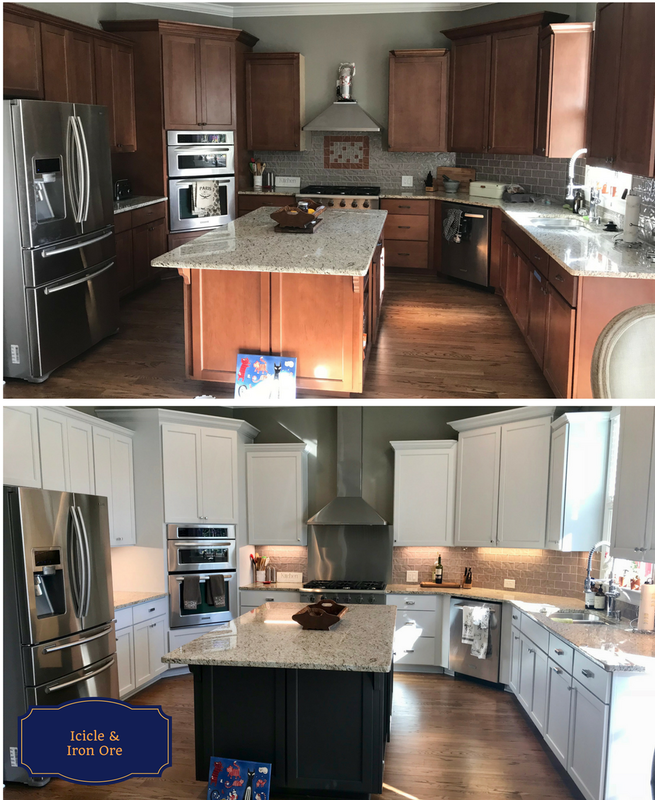 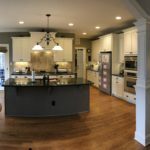 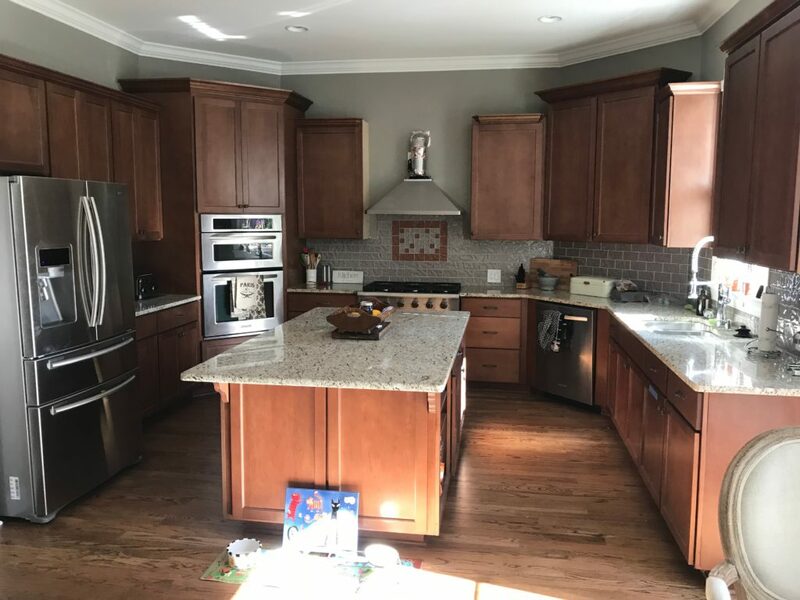 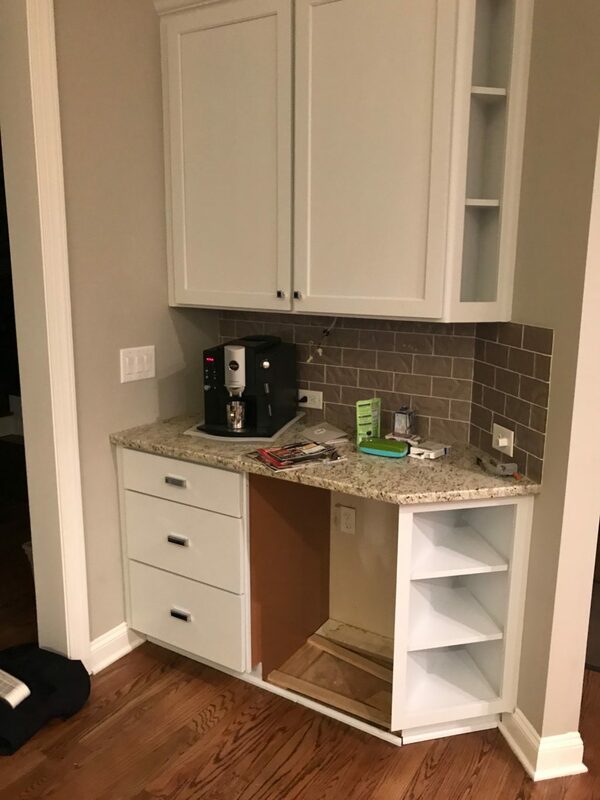 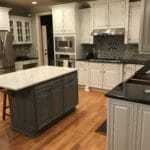 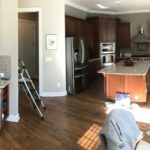 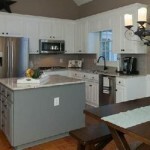 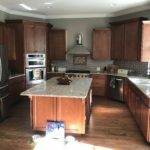 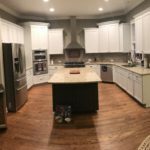 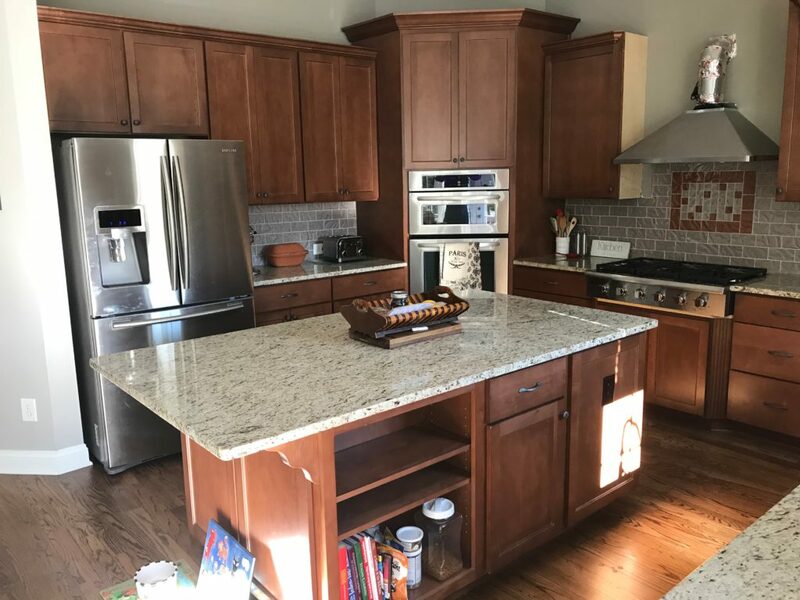 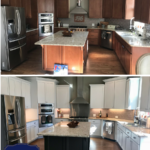 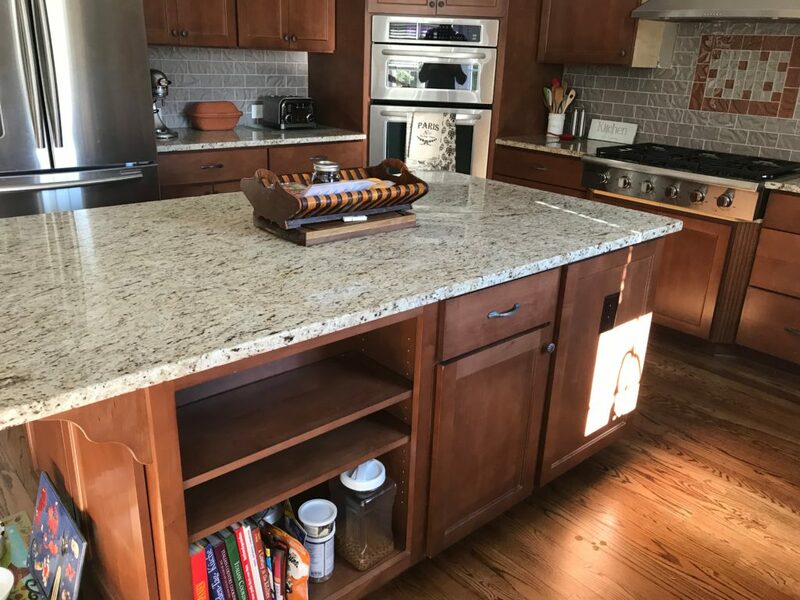 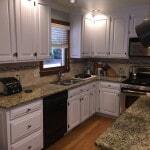 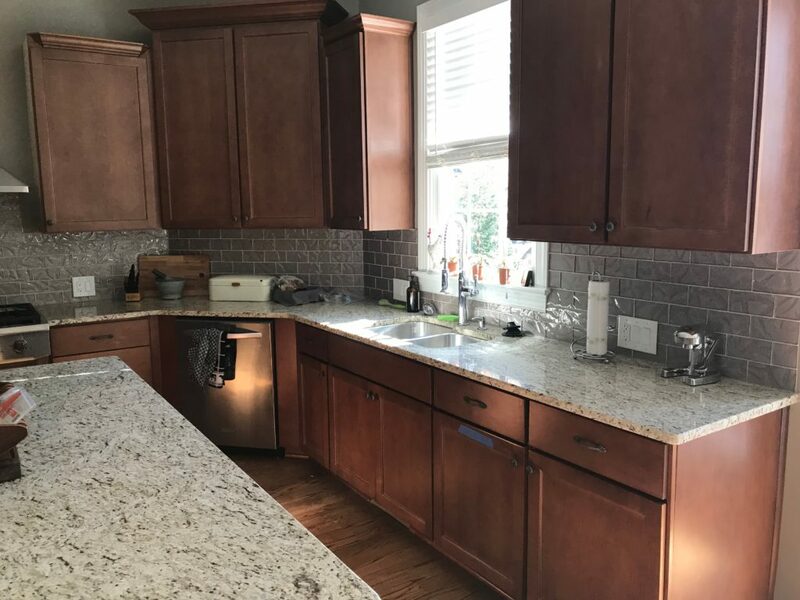 Our homeowner was looking to eliminate all the orange and brown tones in the kitchen and create a sleek, modern feel. 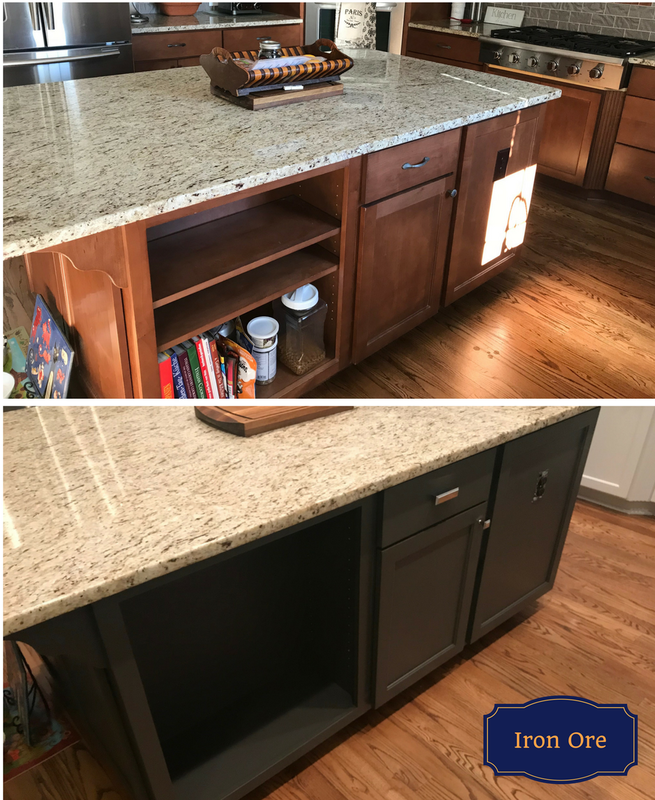 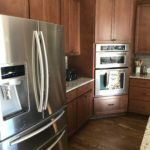 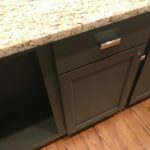 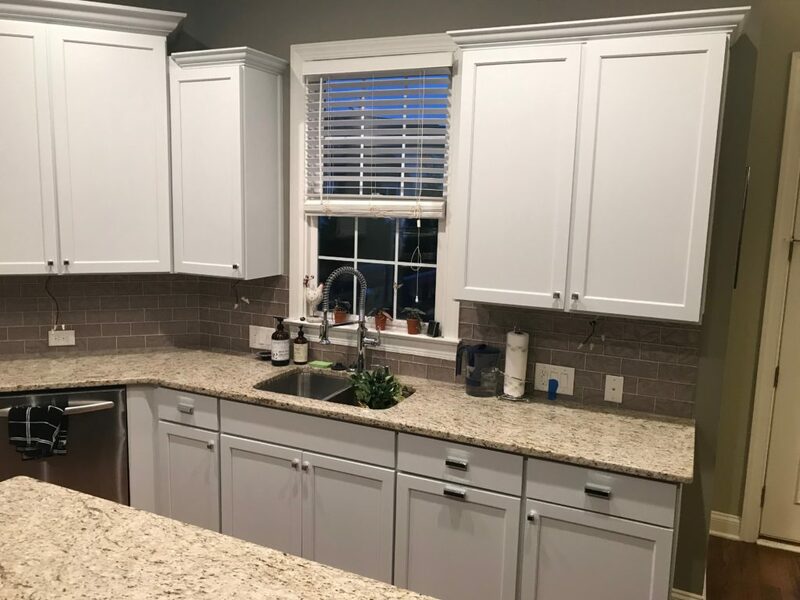 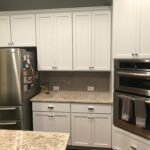 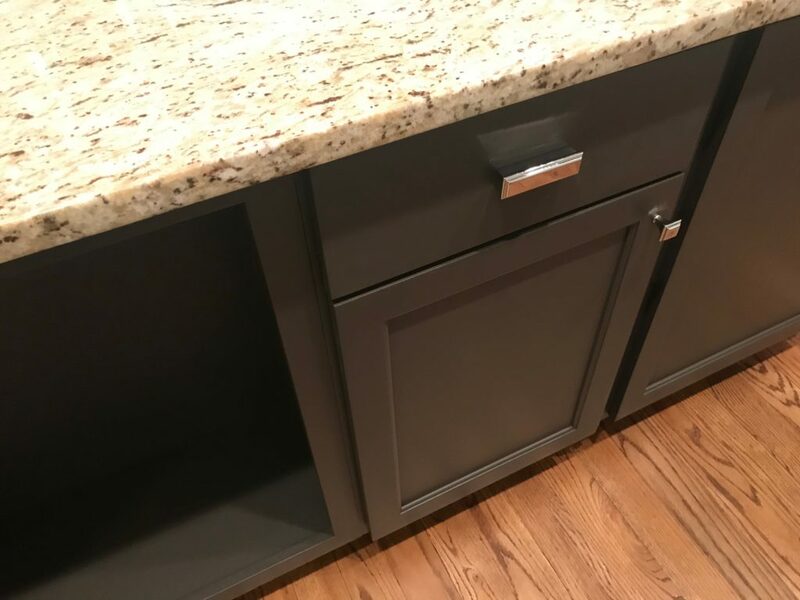 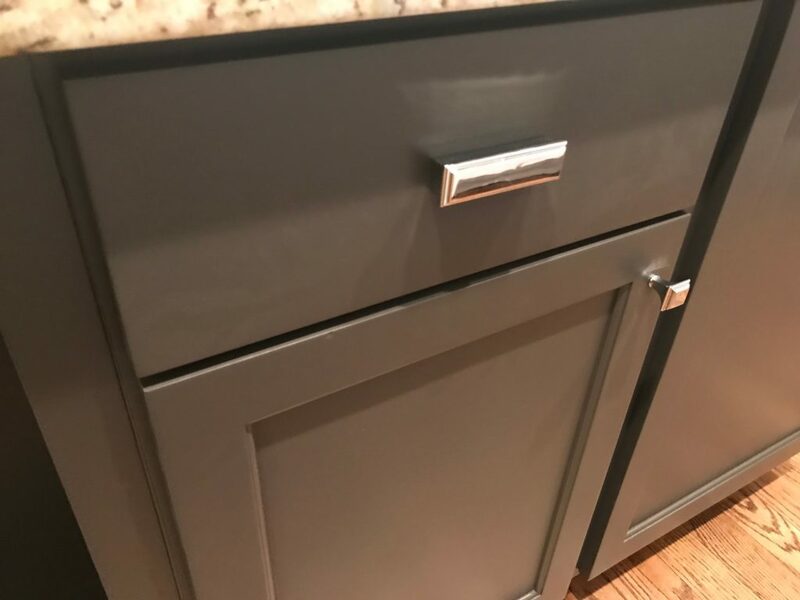 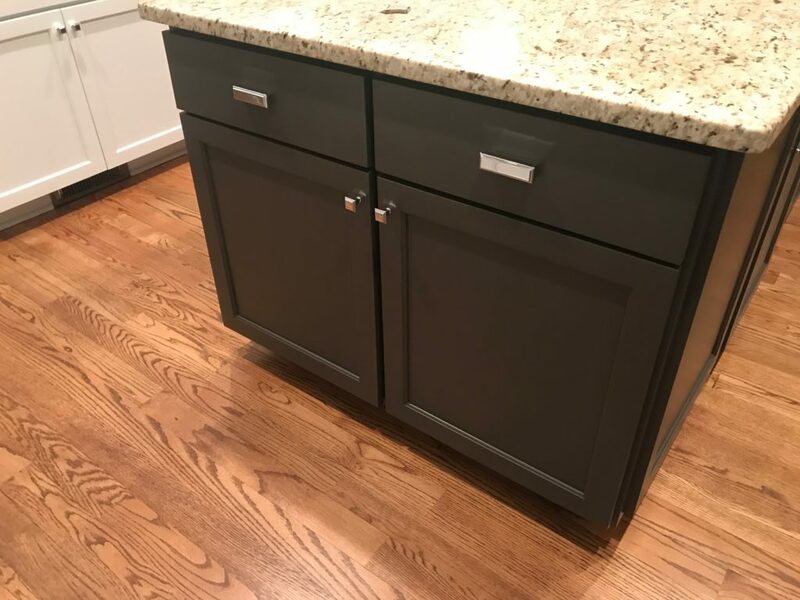 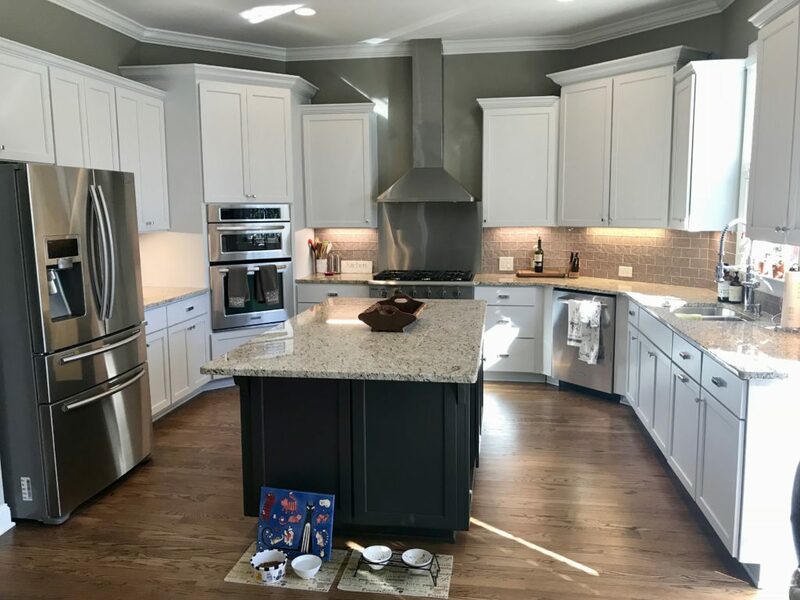 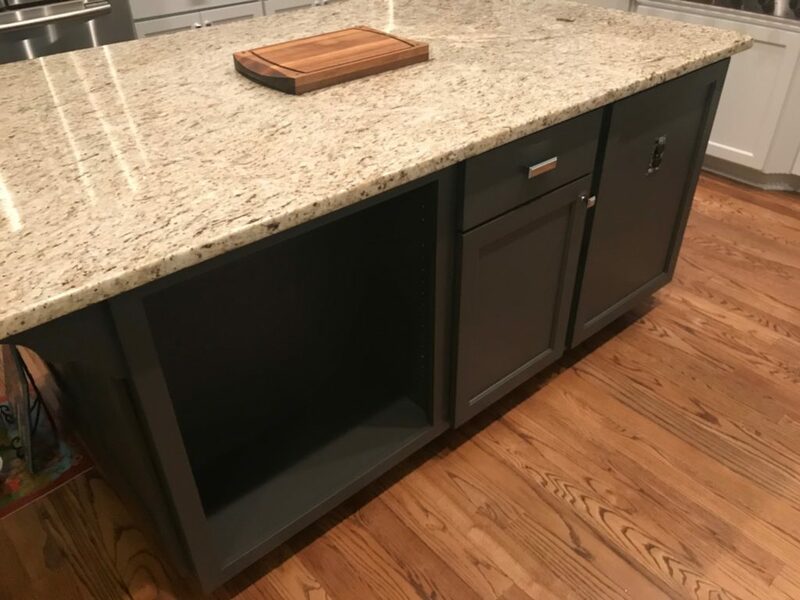 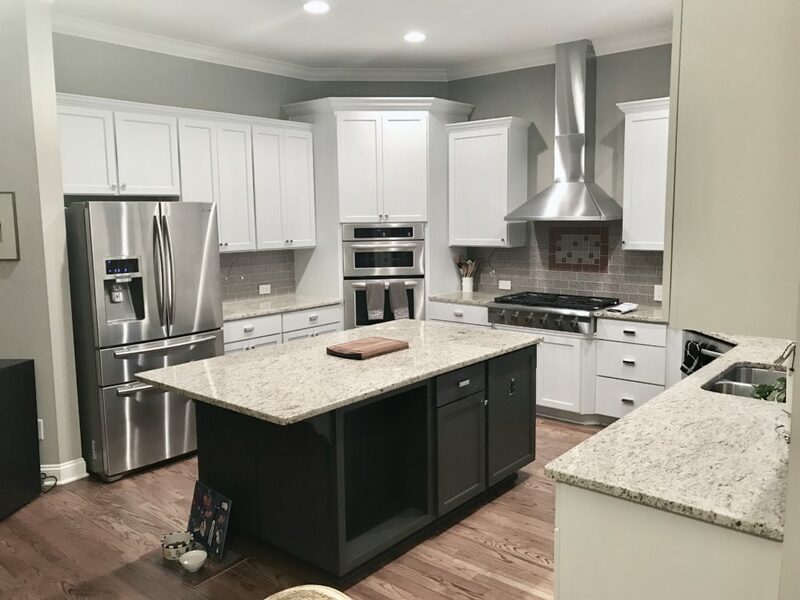 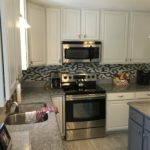 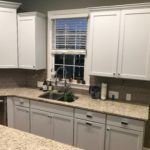 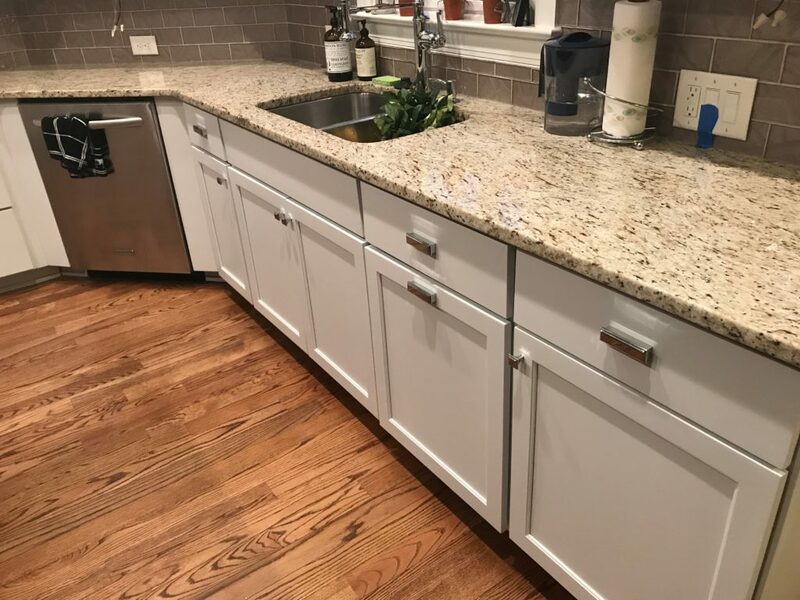 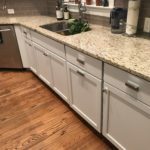 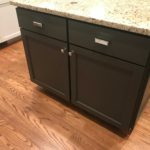 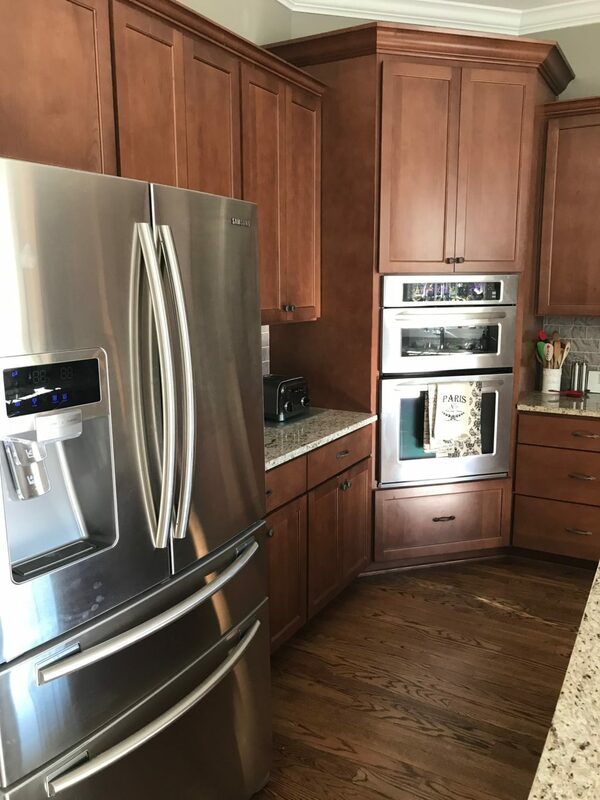 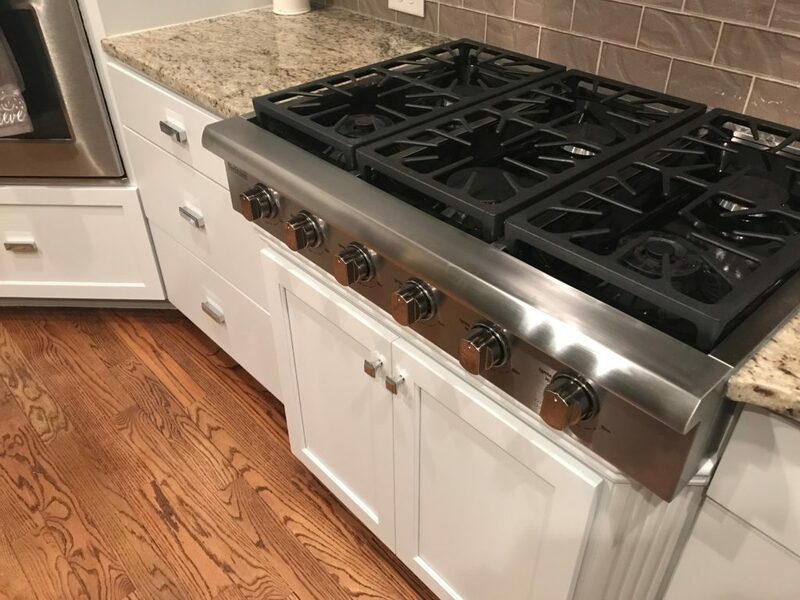 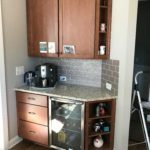 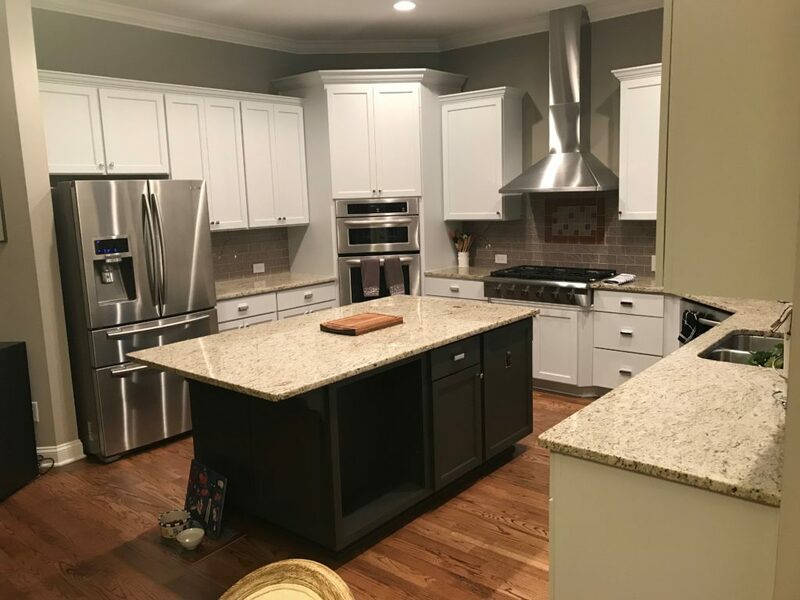 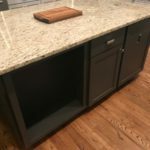 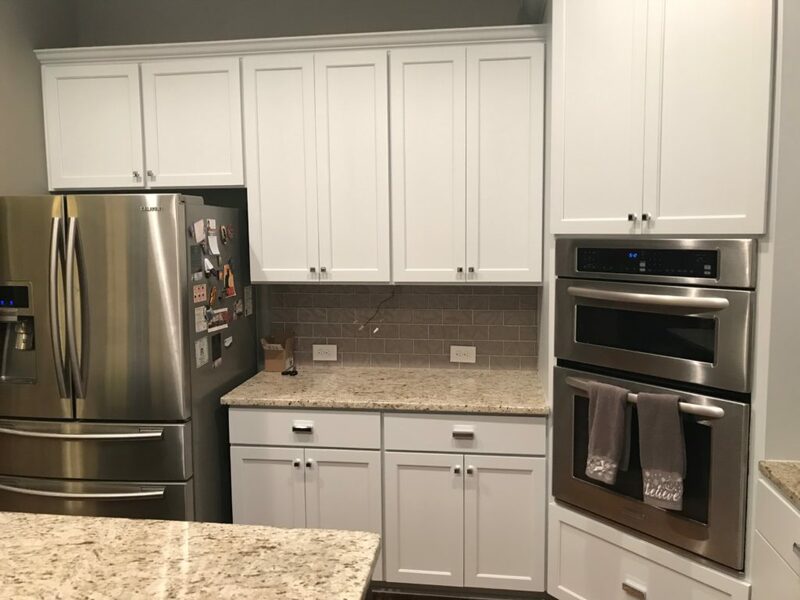 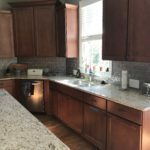 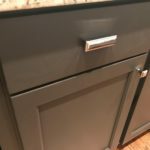 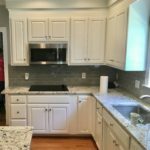 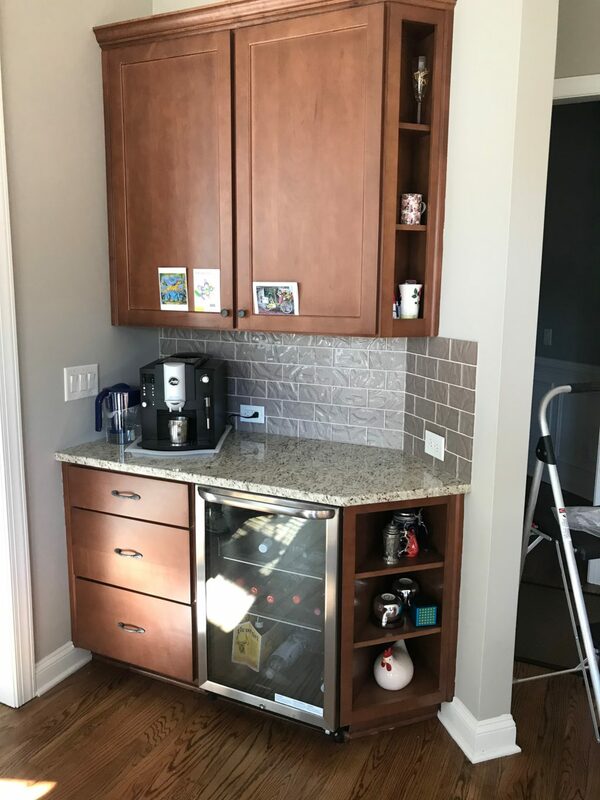 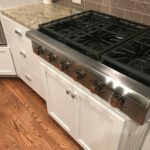 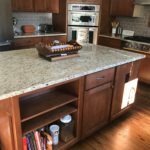 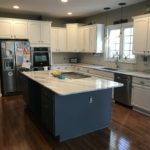 Choosing Sherwin Williams colors – Icicle and Iron Ore, combined with new polished chrome handles and knobs, really helped achieve that look. 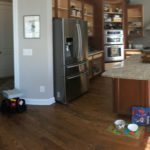 Not only does the space feel brighter, but it also feels much calmer as well. 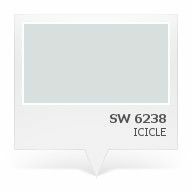 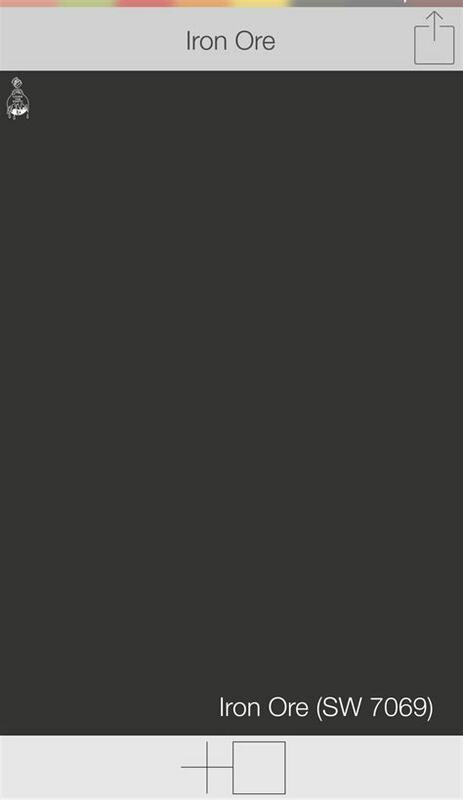 Icicle is a cool white with bluish gray undertones, and Iron Ore is a super rich, cool gray that’s almost black, but not quite.